Your brand is about perception and experience. Imagine stripping every big event of any and all identifying marks. The event itself may not change but the experience would not be the same. The Super Bowl, the NBA Finals, the Olympics, and every other event spends money on their visuals. The budget is not just for promoting the event in advance but enhancing the attendee experience during. Investing in the visual brand of each event you host means making a lasting impression on people. The visual brand identity of EVO was on full display during the tournaments. The logo was seen everywhere, from the large video screens in the event hall to the gaming consoles themselves. There was no question as to where you were. 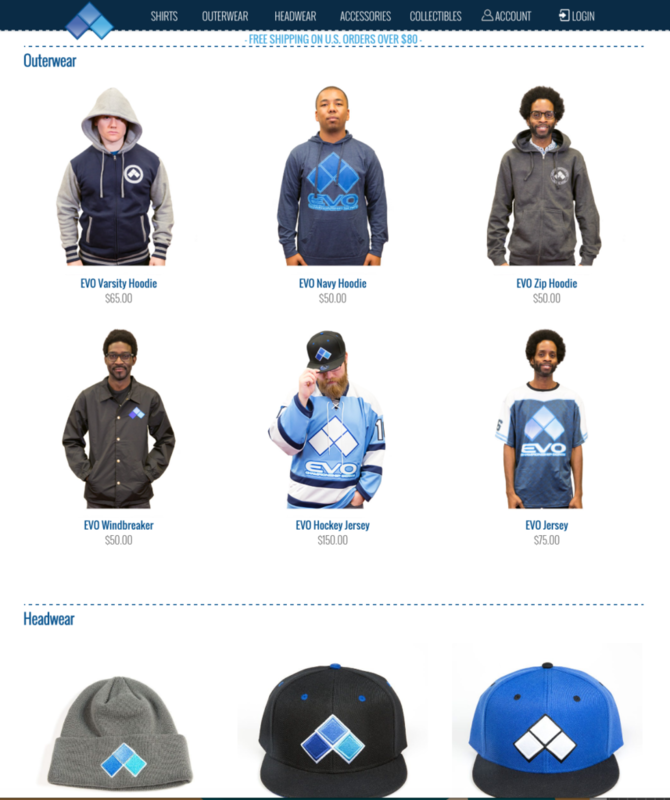 Apparel was available for purchase with the logo on shirts, hats, jackets, and more. On Sunday for the Finals, they outdid themselves on presentation in the Mandalay Bay Events Center. 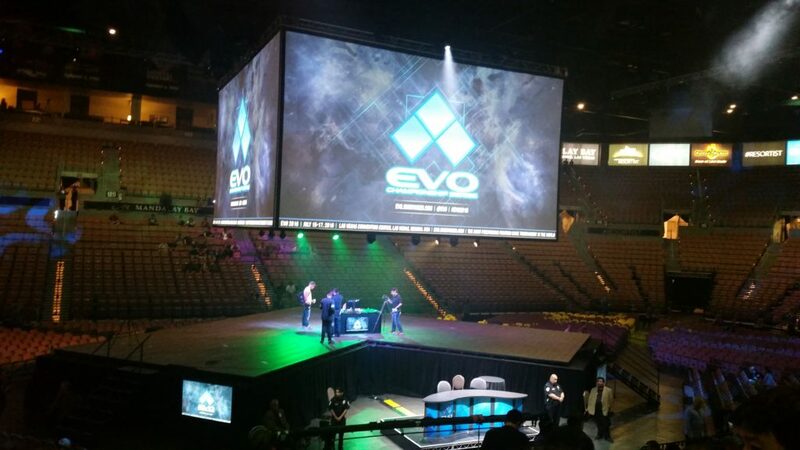 Taking advantage of the large video screens, the EVO staff had the stage and lights ready to add to the hype atmosphere. Each game had its own video with custom motion graphics and music (one of which featured Lupe Fiasco). The stage itself (in the shape of the EVO logo) was a video screen that showed the characters each competitor chose during the match. It was incredible to experience. 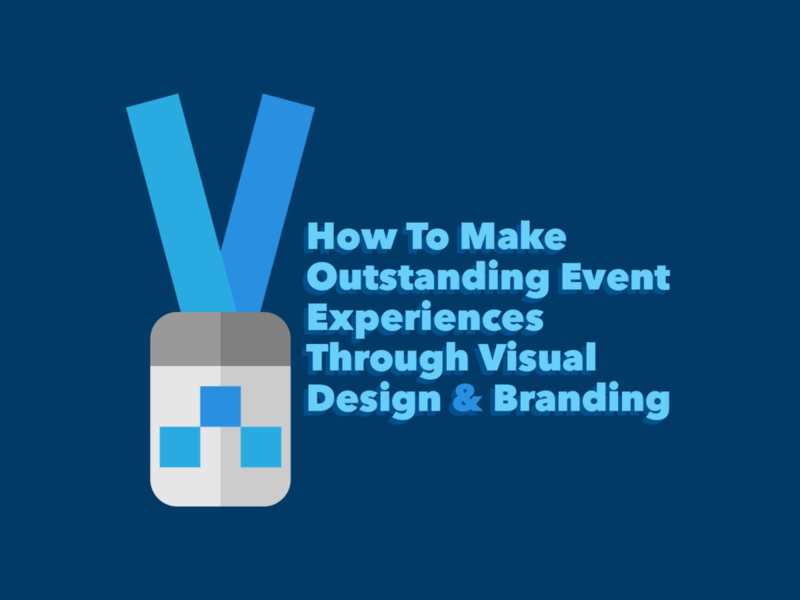 When you are putting together an event, you want attendees to be excited, attentive, and in awe (during and after). Stage construction, video screens, tickets & passes, clothing (for sale and staff), and signs throughout the venue & host city all need strategy and design. All of these things are tangible extensions of your overall visual brand identity. To create a powerful imprint, you must put in the work. The bare minimum will barely leave a memory. What will people remember from your event? How will they be able to show others that they were there? What will they take from your event that will inspire others to join them next time? These are just some of the questions you need to answer. Make those answers good ones.